The City of Los Angeles, California receives the February 2019 BAN Award for being the largest municipality in the United States to outlaw the sale of animal fur, depriving consumers of fashion choices and endorsing a policy that ignores evidence on animal conservation. The ban is expected to go into full force by 2021, unless the second vote on the matter changes and Mayor Eric Garcetti doesn’t sign the bill. However, because the vote was a 13-1 margin, it is likely to pass. “Rather than following the evidence on animal conservation, the city council of Los Angeles has blindly succumbed to the wishes of activist animal rights groups who have spread misinformation on the fur trade,” said Yaël Ossowski, deputy director of the Consumer Choice Center, a millennial consumer advocacy group. “Such a ban will have immediate consequences. First, it deprives consumers of the choice to wear fur or not. Second, it ignores the evidence of vital wildlife conservation for balancing our ecosystems. Last, it will force the existing companies out of business and underground, creating a black market that will be unregulated without regard for consumer standards and safety,” said Ossowski. “Responsible wildlife management is a vital part of maintaining our ecosystems, and responsible players in the fur industry have done this. Criminalizing these elements will do more harm than good, and deprive consumers of their fashion choices. “Making the buying and selling of fur an illegal act is anti-consumer, anti-free expression, and a huge blow to legitimate animal welfare efforts,” said Ossowski. 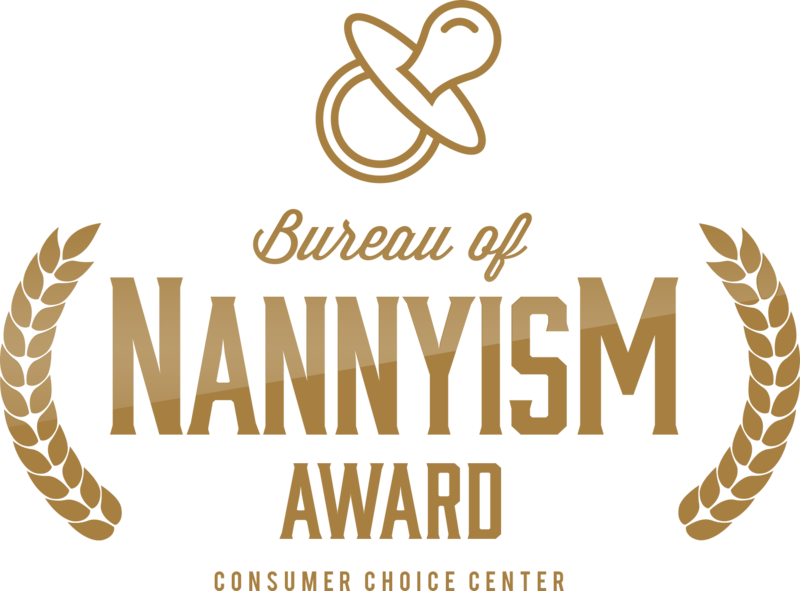 Every month the Consumer Choice Center awards an institution, person, or organization with the Bureau of Nannyism or short BAN Award. The BAN Awards recognize the work of an individual or organization that has made major contributions to advocating limits on consumer choice. This award serves to recognize extraordinary abilities in disregarding consumers and evidence-based public policy. The award was created by the Consumer Choice Center to draw attention to the important role politicians, lobbies, and advocates play in limiting consumers’ choice and ignoring them in the policymaking process. A LEADING consumer group has hit back against animal rights activists who have been encouraging consumers to stop using animal-derived materials, on the grounds that they are hazardous to the environment. Last Thursday, the Consumer Choice Center launched a campaign titled #ChoiceInFashion – which seeks to inform consumers about animal-derived materials used for fashion and debunk myths and urban legends spread by what they call ‘self-proclaimed animal rights groups’. Managing director Fred Roeder explained: “The Consumer Choice Center values animal rights, animal welfare, and protection of the environment but this campaign seeks to debunk some of the myths used by animal-rights groups to cloud the judgments of consumers. “More and more innovations already allow consumers to switch to animal-free food products and fashion items,” he continued. “At the same time, a trend of emotionally charged campaigns, such as those undertaken by PETA, that misinform consumers about animal welfare in developed countries has been on the rise. With alternatives at hand, there is no reason to stigmatise against the use of real fur and leather in fashion choice,” said Mr Roeder. “In the coming weeks and months, we will provide more information and arguments for choice in fashion on our website: www.ChoiceInFashion.com.” he concluded.